Fun logistics game launches in Dubai on a lean budget; can it find distribution? This piece is part of a new series on the challenges of new entrepreneurs who are bootstrapping their startups. With the launch of their first business to consumer game, Dubai Delivery, the Sentiomedia team has created what at first appears to be a rather simple shipping logistics-based game that actually has complex gameplay and a strangely addictive quality. But, as so many other gaming startups have expressed, finding that balance between the creative B2C projects they enjoy and less exciting business to business projects that bring in more revenue is a huge challenge. The bootstrapping Sentiomedia team is hoping to break away from merely providing these digital services and “experiences” to build what they love. “We ride two horses: we create games, which we love to do, and we try to get money from the market to create interactive experiences to fund the game and to fund the marketing,” says Saghegyi. After moving to Dubai in 2006, following three years working at Rockstar Games (the famous publisher of the Grand Theft Auto series) in both Vienna and London, Hungarian entrepreneur Saghegyi began to build what he calls, “interactive visualizations” for real estate clients as the construction sector boomed. In 2009, when the real estate market crashed, he reunited with two of his previous colleagues from Rockstar Games and launched Sentiomedia in 2010. In its first two years, the team focused on B2B, building mobile apps, interactive display apps, B2B games, and a digital magazine, before launching Dubai Delivery as their first B2C game. Since its launch for iPhone in July, they've seen a modest 25,000 downloads, with 3,000-4,000 regular active users. To be honest, when I first opened the game, I wasn’t sure whether I could play it for more than a few minutes. At first, it looks rather simple; players are tasked with loading trucks and ships with cargo and transporting them to sites across an active map of Dubai. But, for some reason, I just can’t put it down. The game actually has a depth and originality that is somewhat refreshing in an often city-builder-saturated gaming space. The font is a blocky pixel type, but it fits well with the logistics and distribution motif. The gameplay is actually more challenging than it seems at first glance; by combining package types and delivery locations in a string, bonuses pay out to allow you to add vehicles to your fleet and buy permits for more worker visas or shipping avenues. 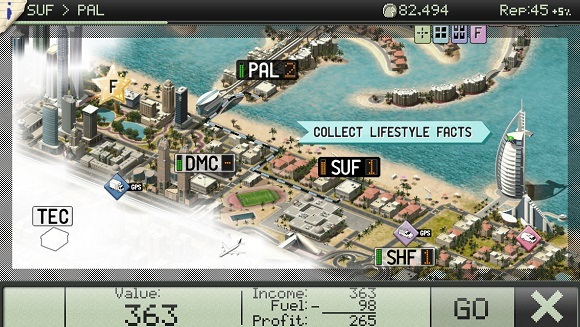 It’s also fairly educational for players who may not be familiar with Dubai. Besides unlocking locations on a map, the game also offers several fun facts that are revealed as you gain more experience. Some offer funny comments on government bureaucracy, traffic issues, or cultural norms, others look to the area’s ancient history. Not everyone has appreciated the facts Sentiomedia has used, notes Saghegyi, although they are based on their experience living in Dubai for six years. With around half of their downloads coming from the Arab world, Sentiomedia is seeing the most hits from Saudi Arabia and the UAE, with some from Bahrain, Kuwait and Egypt. The other half comes from North America and Europe, explains Saghegyi. But they are seeing players purchase a decent amount of in-app purchases for more coins and faster delivery times, a model the team chose over a paid app or littering the game with ads. "We don’t like them personally, so why make players see them?” says Saghegyi. And despite low downloads, he remains optimistic about their monetization potential: “It’s a good indication that if we just bring up the downloads, then we’re good. 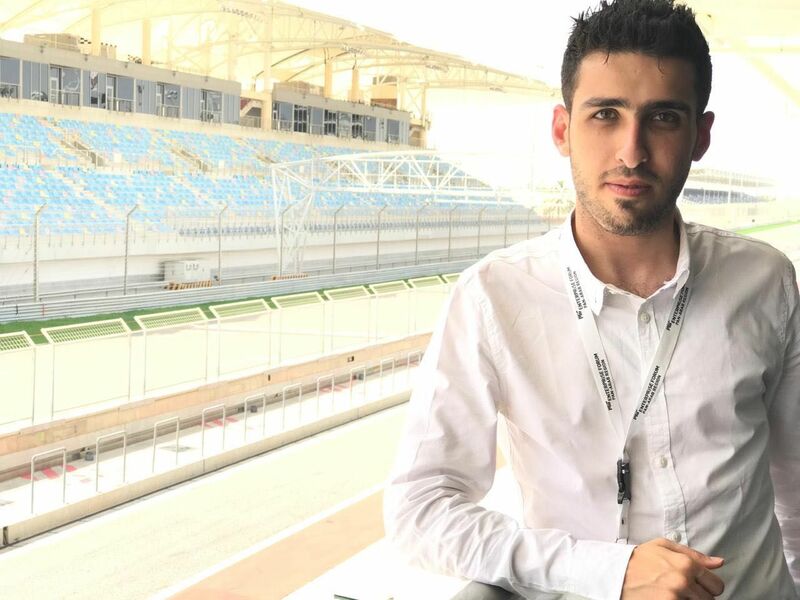 Of course that’s easier said than done, but Saghegyi feels that when the team secures some more contracts and perhaps gets an investor or two, they can then focus more on marketing and the app will become self-sustaining. Today however, the team is really bootstrapping – fighting for every contract until they can make enough to more effectively push the game. The game has received a few notable mentions so far, including the UK-based mFWA award for innovative digital content and was also recently selected to be part of the Espacio Enter Digital Art Festival in Spain. 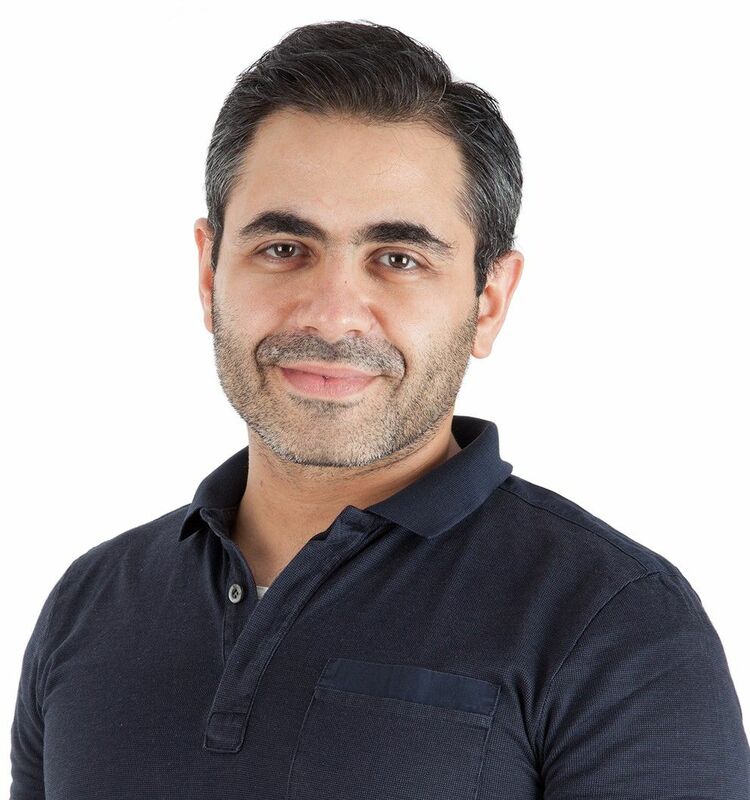 While Dubai Delivery represents the cofounders’ first opportunity to create a game targeted for consumers, they still rely heavily on their B2B service contracts to stay afloat. “We use part of our income to eat and part of our income to fund the game,” Saghegyi admits candidly. It’s a labor of love, one that the team is determined to continue until they either hit it big, or simply run out of money. While this game may not have the fast-paced appeal that more famous titles offer, it does keep me coming back for more. It’s easy to pick up and put down and, although it certainly takes longer without them, it is possible to build your shipping empire without any in-app purchases. Right now, the team is finishing up the iPad version and Arabic is in the pipeline. If all goes well and the B2B work keeps coming in, the Sentiomedia team hopes to spend heavily on marketing Dubai Delivery with an eye on possible sequels for the other Emirates. For now, their main challenge is distribution. Launching a game in the hopes that it will take off on its own is a classic strategy young startups try, but Saghegyi is now realizing that tackling distribution may be the key to a successful game. He's is optimistic that by pushing B2B he can create more B2C projects, a position a lot of the region’s gaming companies are in. But he will most likely need a bit of outside funding to scale by launching a successful marketing campaign and getting the downloads to a level where they can see higher revenues. When they’re a bit more stable, with a stream of B2B clients and possible investment, I look forward to seeing what they come up with next. How do you strike a balance between experimenting with the types of work you like to do and completing other projects that bring in more revenues? Share your experience in the comments section below.